Yasiel Puig smuggling case: Arrest in Florida. The indictment includes few details and only identifies Puig by his initials. But it does seek forfeiture of any money obtained by Suarez from Puig’s $42 million contract as well as just under $3 million in cash, a condominium, a Miami house, a 2014 Mercedes-Benz and a 2013 Porsche. Puig is believed to have arrived in America via Mexico after a long saga involving smugglers, a drug cartel, lots of cash, and possibly a murder—a saga detailed in this truly insane Los Angeles magazine story, which is well worth reading in full. 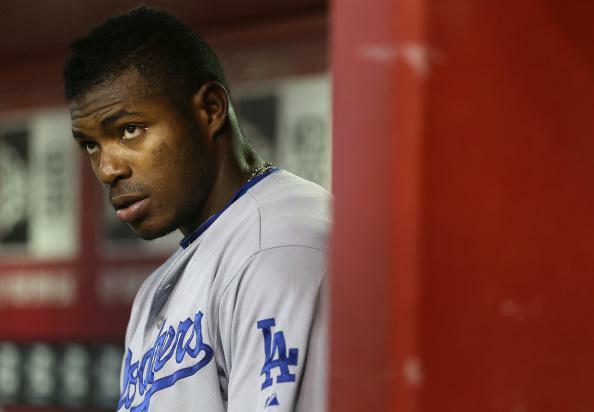 (Indicative sentence: “Puig’s journey … had been underwritten by a small-time crook in Miami named Raul Pacheco, an air-conditioning repairman and recycler who was on probation for attempted burglary and possession of a fake ID.”) Suarez is named in the story as one of the men who is allegedly receiving a cut of Puig’s U.S. windfall—and who allegedly insinuated that he had helped arrange the murder of a criminal who had attempted to continue to shake Puig down after he had arrived in America.